Julie Pech founded The Chocolate Therapist “empire” while on a mission to marry two of her loves: chocolate and nutrition. She even wrote a book on the subject, The Chocolate Therapist: A User’s Guide to the Extraordinary Health Benefits of Chocolate, which I’m hoping to read as justification for my new found chocolate addiction. Honestly, I think Julie’s strategy was genius. 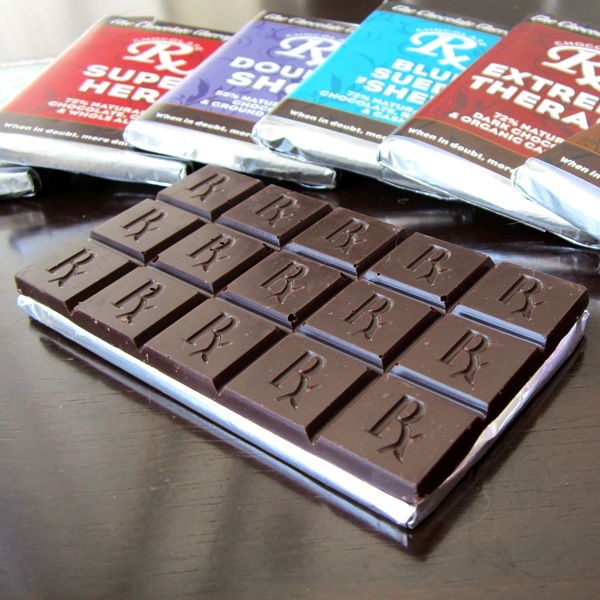 Pairing The Chocolate Therapist Dark Chocolate Bars with a nutrition resource offers a gift for loved ones (see the gift set below!) or ourselves that shouts both indulgence and practicality. Plus, her handcrafted delights have a rustic, cacao appeal that will quickly rope in many chocolate purists. 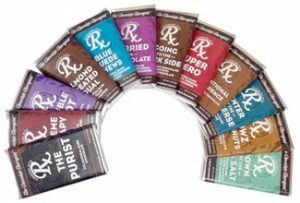 We sampled several of the Chocolate Therapist dark chocolate bars with 72% cacao and 55% cacao, leaning toward that latter in many flavors. The 72% was earthier, more intense and slightly more bitter than some of the other 70% bars we have tasted, while the 55% were sweeter, but still “grown-up” and complex. Below our my tasting notes. Good, but a little more intensely cacao and bitter than I like for regular noshing. 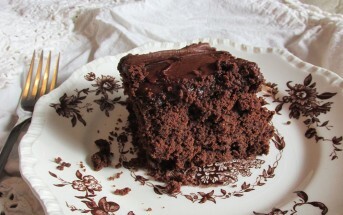 I lean toward cocoa buttery dark chocolate, while this was on the rustic side. 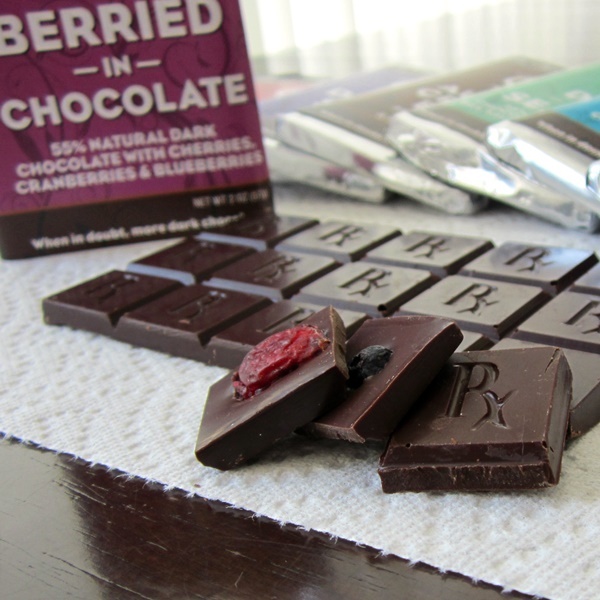 I’ve really grown to love smooth chocolate with pure bites of cacao nibs, and was generally pleased with this variety. The cacao is earthy and almost cacao nib-like on it’s own (in flavor) so aside from the textural shake-up, I didn’t feel that the nibs affected the overall warm and earthy flavor, and even found this bar to have a little more appeal than The Purist. Wowsers, whole dried cherries and literally whole almonds smattered on this dark bar! The cherries were a bit too chewy, and the overall vibe is definitely for chocolate-covered almond fans. This was the most intriguing of the bunch in my opinion. I loved the sweet blueberries against the contrasting dark with the mellow, nutty cashews. Slightly bitter for a 55%, but intense in cacao with a pleasantly sweet contrast. There were whole dried berries randomly scattered about – I actually would have liked a more generous hand with the fruit. Everything about this bar was delightfully harmonious. The sea salt was ever-present, yet it melded nicely and helped to marry the bitterness of the cacao with the sweetness. The almond slices on the back of the bar were a nice touch, if not a little lopsided in distribution. Pure espresso granules give this bar a big boost! I’m not a coffee fan, but think this could be bliss for mocha lovers. The flavor was clean, perfectly sweet and definitely caffeinated (one little square was enough of an energy jolt for this chocolatista). Tony (a coffee fan) thought it had really good flavor to it rather than tasting like ground coffee. Mmm, more my speed. A little dessert-like, indulgent, sweet, almost kid-friendly really. Somehow this one tasted a little more “buttery” and sweeter than the other 55% cacao bars. Perhaps it was a batch issue. Allergy Note: The allergen labeling The Chocolate Therapist Dark Chocolate Bars is a little misleading for milk allergy consumers. It states that the chocolate is “manufactured in a facility that processes tree nuts and peanuts”, but makes no mention of milk / dairy, which is also used in their facility, possibly on the same lines. Again, always check with company before consuming any product where severe allergies are a concern. 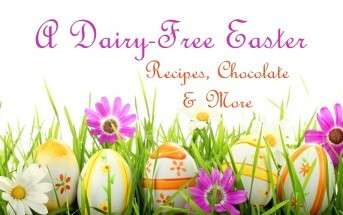 Dietary Notes: By ingredients, The Chocolate Therapist Dark Chocolate Bars are dairy-free / non-dairy, egg-free, gluten-free, peanut-free, vegan, and vegetarian. Nonetheless, check with the company on their manufacturing processes for all varieties if potential allergen cross-contamination is an issue for you. Processes and labeling are subject to change at any time for any company / product. 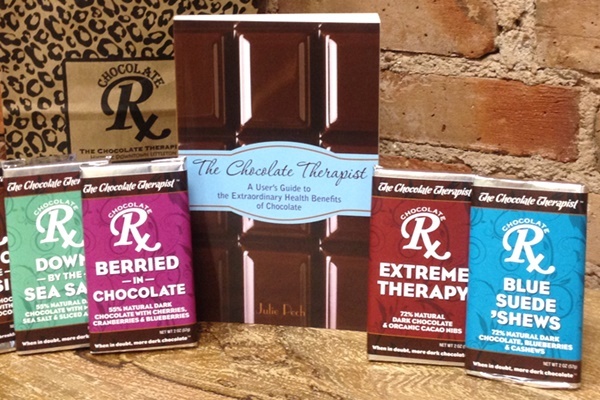 For More Product Information: Visit The Chocolate Therapist website at www.thechocolatetherapist.com. Refined, yet rustic, this dark chocolate selection has intense cacao appeal. We leaned toward the sweeter 55% cacao bars, which were a touch less bitter, and came in scrumptious varieties like sea salt with almonds and espresso.